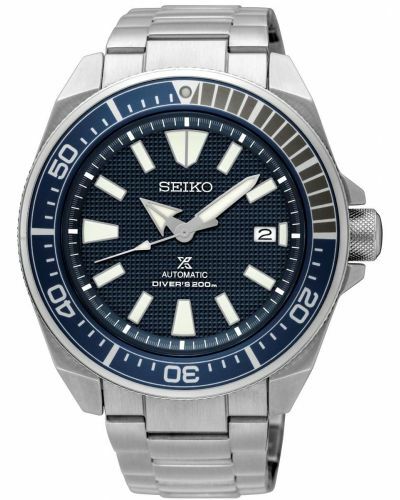 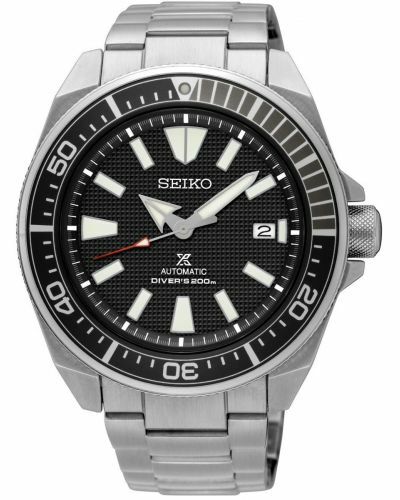 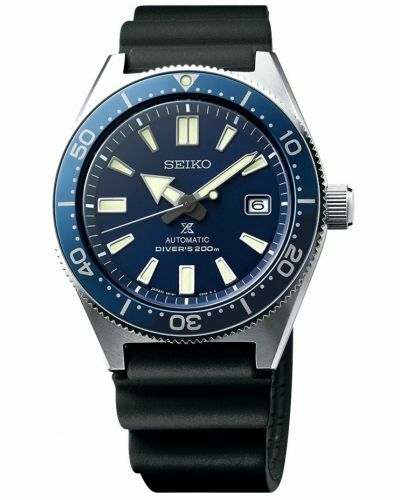 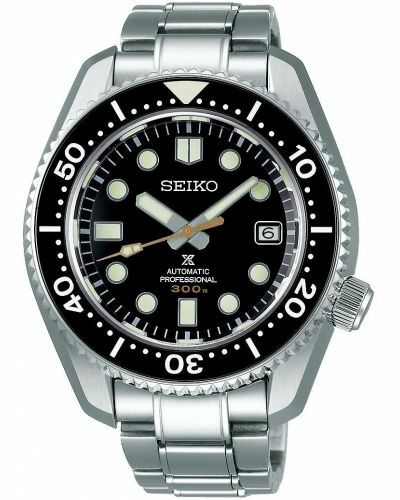 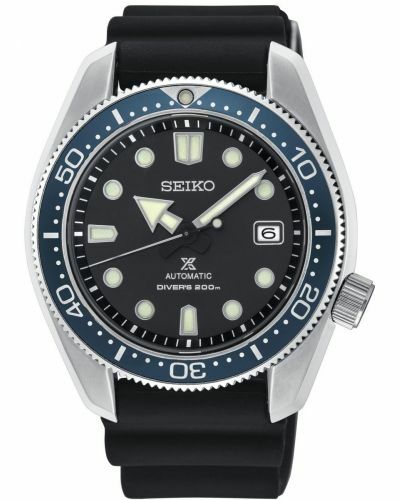 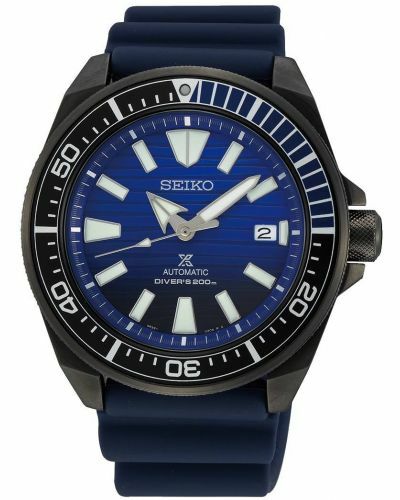 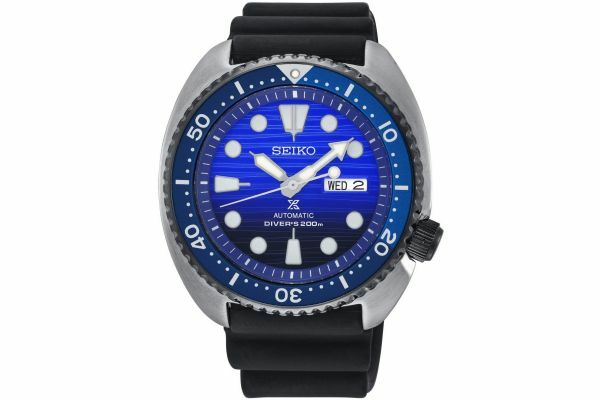 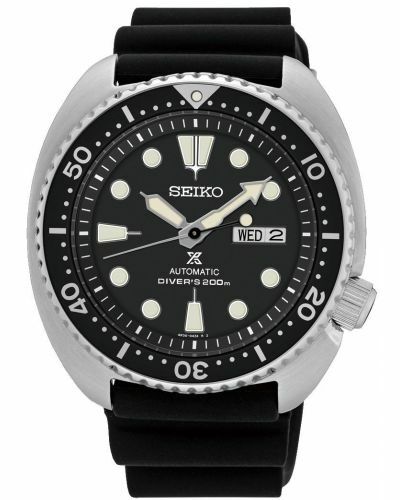 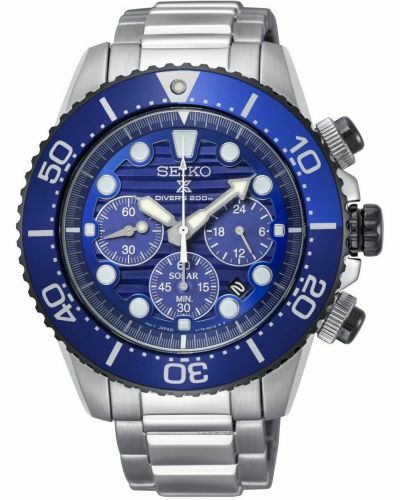 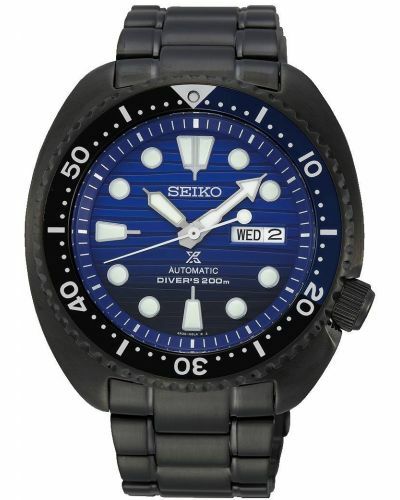 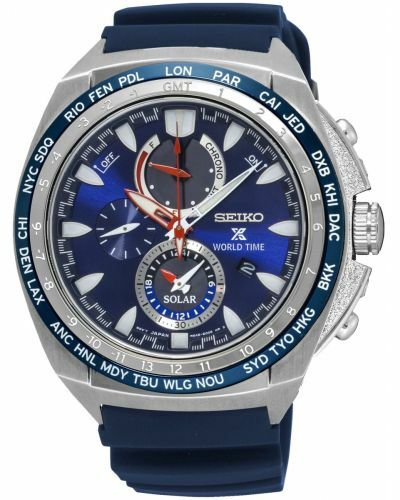 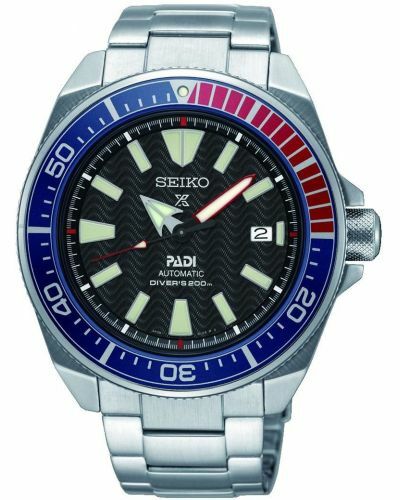 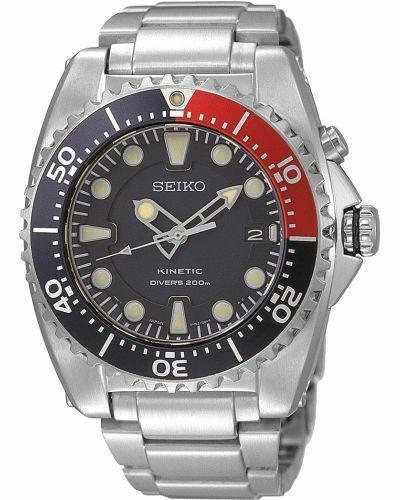 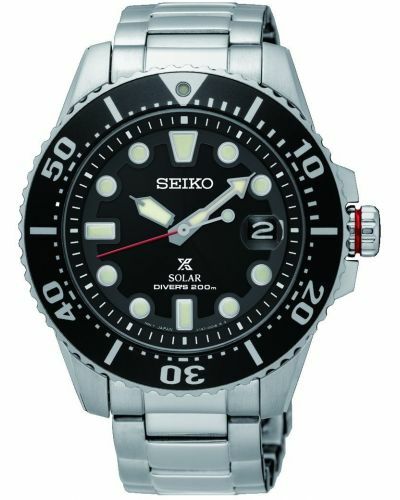 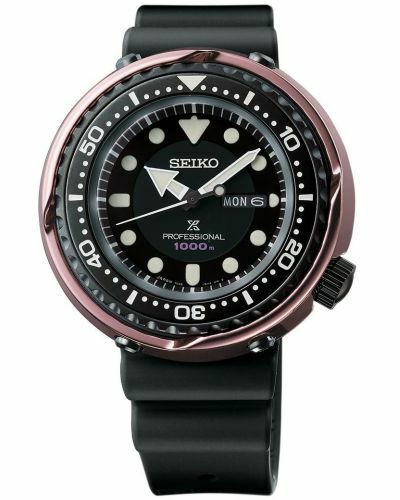 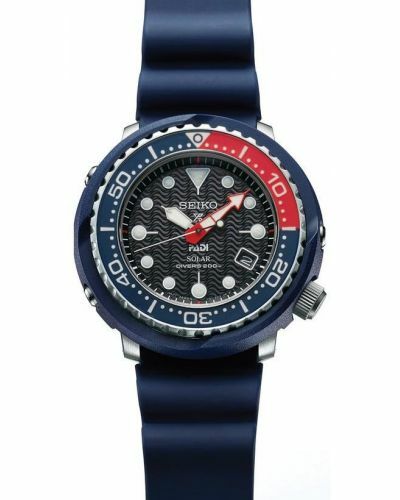 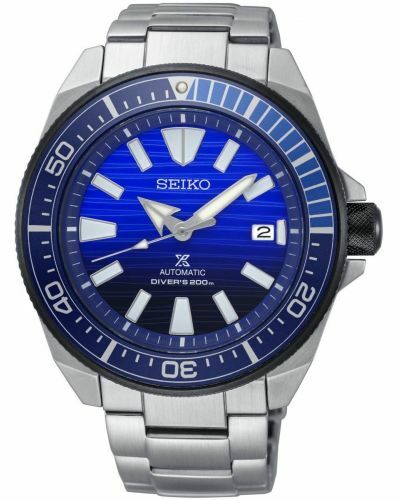 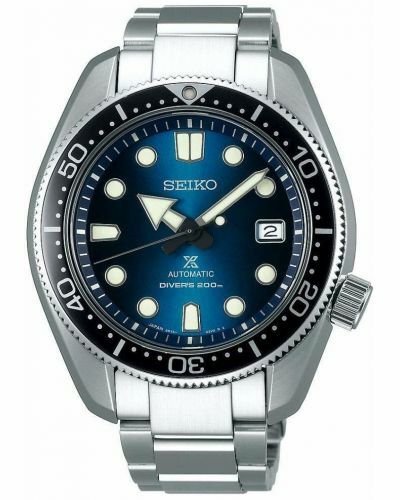 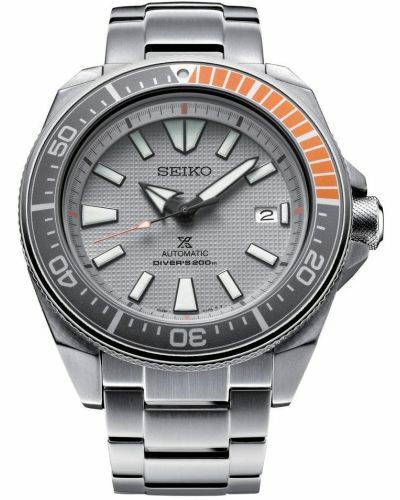 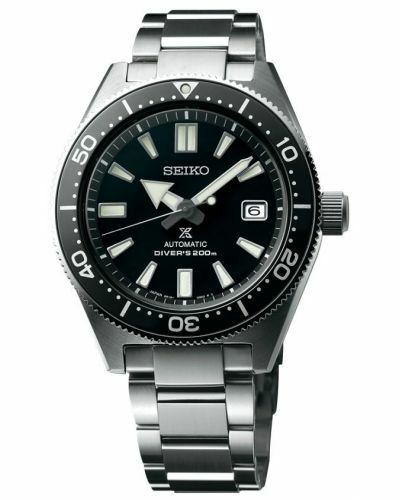 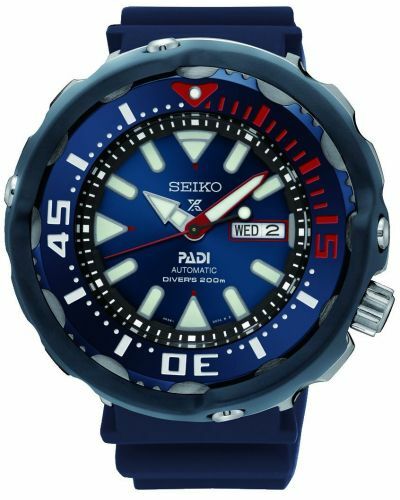 This special edition diver's watch is brought to you by renowned Japanese watchmakers Seiko in partnership with the Save the Ocean charity and features a 45mm stainless steel 'Turtle' case and a blue ocean inspired rotational bezel. 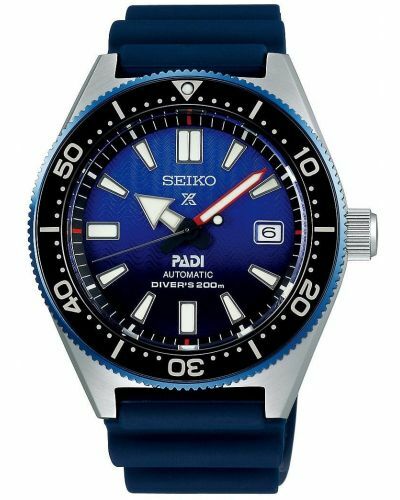 Housed beneath protective Hardlex Mineral glass lies an alluring blue degradé dia with irregular lines engraved inspired by the skin of whalesl; the luminous hour markers are inspired by the original Seiko divers watch as are the luminous hands and second hand. 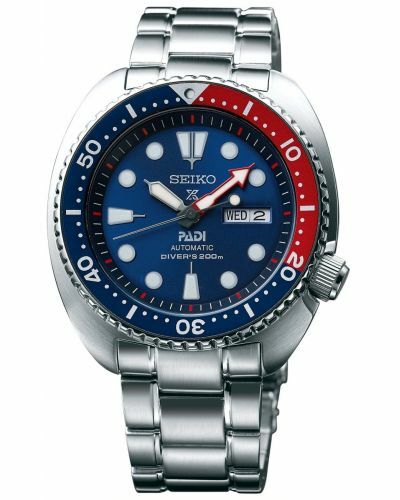 The Lumi-brite coating on the dial allows for clear legibility in low light conditions for up to 6 hours after initial light exposure. 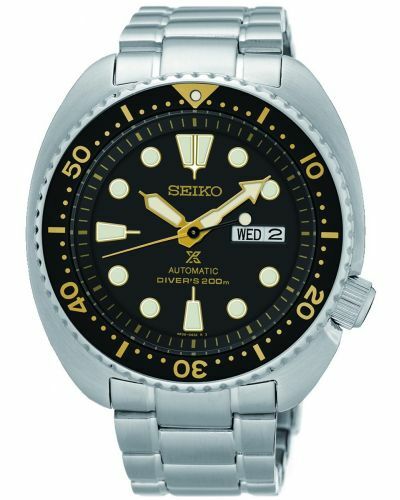 A day and date window is located at the 3 O'clock position. 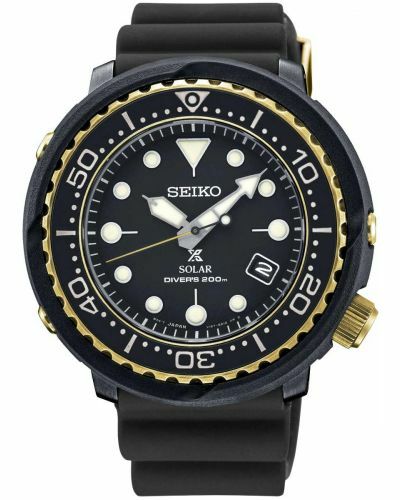 Set upon a robust yet comfortable jet black silicone strap complete with Seiko's patented concertina design; a feature which allows the watch to expand and contract without slipping off the wrist amd fastens with a stainless steel buckle. 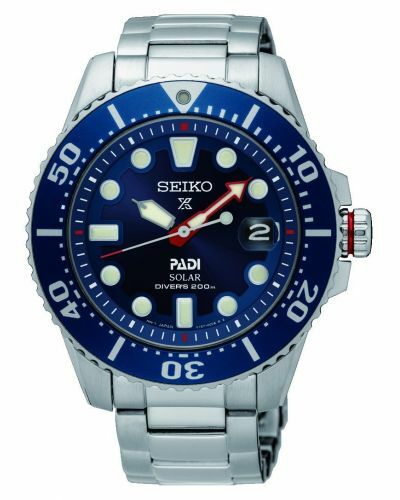 Powered by an Automatic 4R36 movement, this watch has a 41 hour power reserve and is water resistant up to 200 meters. 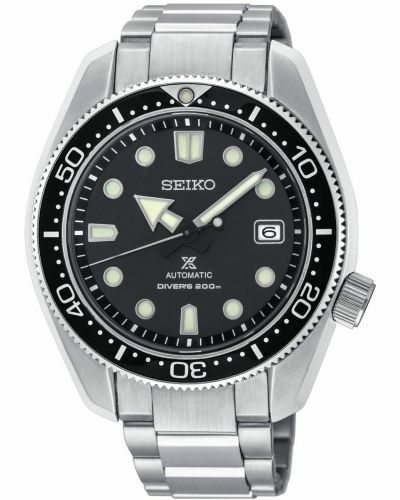 The screw down crown at the 4 O'clock position prevents water ingress. 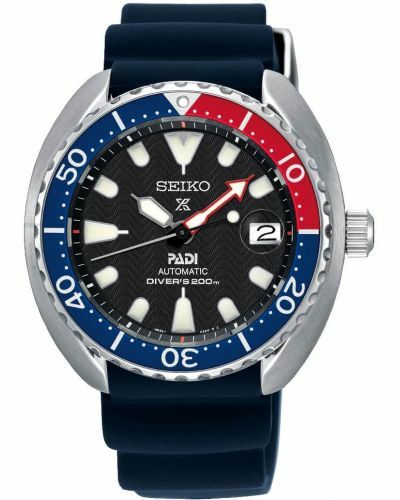 Complete with a two year guarantee. 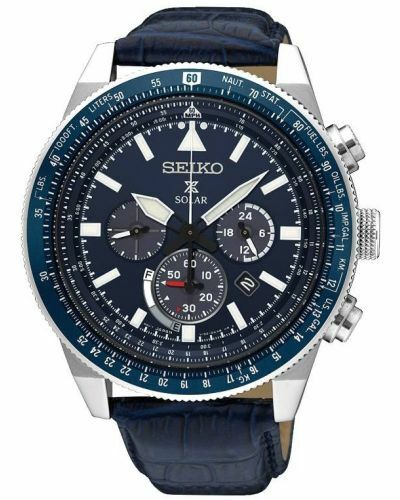 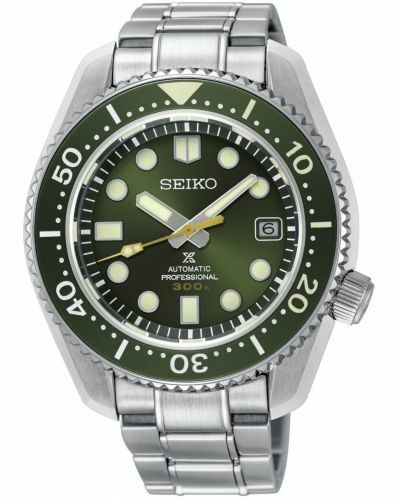 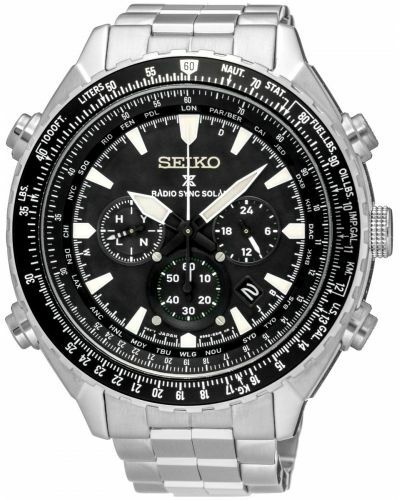 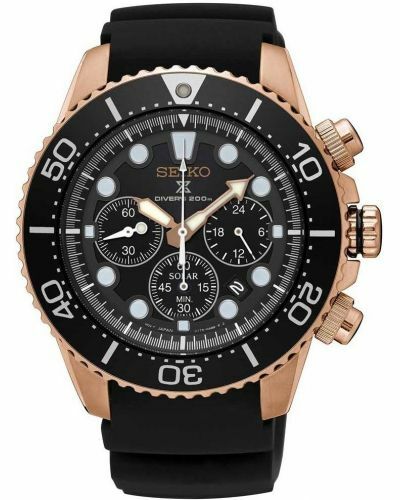 For us to size your new Seiko Prospex watch as accurately as possible, please take a look at our downloadable Watch Sizing Guide.